Did This Goat Help Lift Curse on Chicago Cubs? For those of you who follow baseball, you may have heard about a certain curse against the Chicago Cubs that was recently broken by the team winning the World Series for the first time in 108 years. But what you may not have heard about is the goat that helped lift the curse. 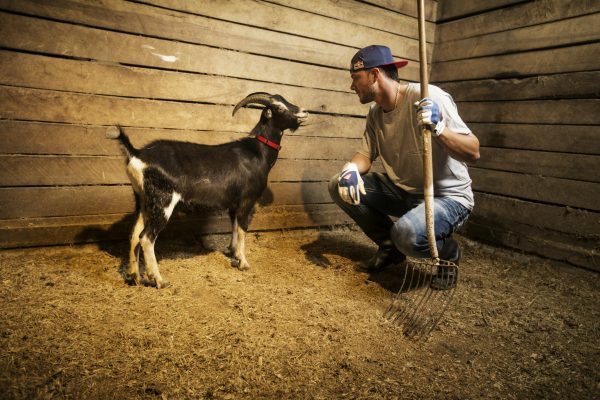 Turns out Kris Bryant had befriended a goat back in New Orleans in April 2015. The Cubs third basemen had posed with the goat for a Red Bull photo shoot at the time. And guess what? Bryant made the final out in game seven when he fielded a ground ball and threw to first. The famous curse was allegedly caused when Billy Goat Tavern owner William Sianis brought a goat into Wrigley Stadium in 1945. Whether Bryant’s friendliness with a billy goat last year had anything to do with their victory will just have to be left up to the baseball gods to decide.